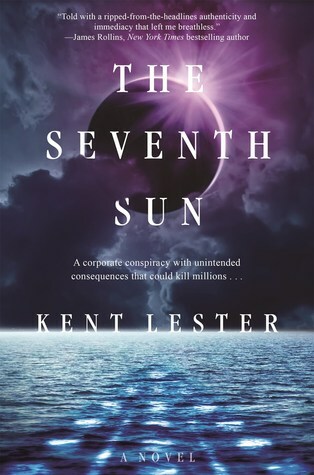 We’re so excited to bring you an interview with Kent Lester, author of the epic thriller The Seventh Sun! A big thanks to Kent and Forge Books! What inspired you to write The Seventh Sun? Kent: I went on a scuba diving vacation to the island of Guanaja, Honduras many years ago. It was one of my favorite trips and I found the island to be an idyllic paradise. The local Payan Indians and the people at the scuba resort were extremely friendly. At the time, there were no roads on the island. Everyone traveled about on boats. The main settlement, Bonacca Town, was literally built on stilts over the water. It felt like the Caribbean version of Venice. Life was simple, fun, and beautiful, and I loved it. I vowed to return there in the future for more scuba adventure. Then tragedy struck. In the late nineties, Hurricane Mitch traveled directly over Guanaja and sat there for three days. The entire island was destroyed. Every single tree and bush was denuded. I was devastated, thinking about all the friends I had made on the island and what their lives must be like after the hurricane. This got me thinking about the nature of tragedy, and how it always seems to be so unanticipated. This led me to read about Black Swan Events, those sudden surprising developments that come out of nowhere to turn our lives upside down. Then I realized that all our modern tragedies were black swans — 9/11, the Asian tsunami, the Great Recession, Katrina, the Gulf oil spill, the Chilean earthquake, the Ebola outbreak, Fukushima – they all seemed to catch the experts by surprise because we, as a society, are totally unprepared for the unimaginable. Can we prepare better? Imagine the unimaginable, ahead of time? Can we predict our demise before it’s too late? That seemed like a great theme for a thriller, and the idea for The Seventh Sun was born. Government agencies and conspiracies play a big part in The Seventh Sun. Do you have any favorite conspiracies? LOL. I’m not sure I’d call them my “favorite” conspiracies! That’s sort of like asking “what’s your favorite way to die?” That said, I believe that there are real conspiracies in the world, but not in the way we imagine them in fiction. A lot of conspiracies happen because a bunch of people share similar goals and behavior, so they act alike in similar situations. Their shared tendencies creates the illusion of conspiracy. But the result of the illusion is no different from the reality. During the Super Bowl, toilets flush around the world when commercials are aired. Is this a willing conspiracy? No, but the effect is the same. Millions of people are programmed to behave in similar ways, so you get “collusion by action” even though nobody sat down and decided to conspire. I think we see that a lot in the corporate world. Everyone’s out for profit and power, so several entities can behave as if there’s a conspiracy, even though the participants are unaware of each other’s actions. That is a key component of The Seventh Sun: that conspiracies can emerge naturally without one’s express knowledge. What was the hardest part of writing The Seventh Sun? Wow! It was all tough. But if I had to focus on one thing, I’d say taking a complex subject and theme, and making it compelling and exciting. Early on, I probably focused too much on the scientific enlightenment I was experiencing while researching the story. But my wife, Penny, kept me centered, thankfully. She kept asking me, “are you writing a textbook, or a novel?” I soon realized that the REAL story was about how the characters coped with the unknown, how we all try to make sense of the nonsensical. So the real journey of the story focuses on Dan Clifford and Rachel Sullivan, two characters who have suffered through their own black swan events. They use their prior experience to deal with the world-shattering events that take place in the story. From that point on, the story became far more gripping, since the readers could experience events through eyes of the main characters. What makes Dan Clifford such a special character? I think Dan Clifford is an ordinary guy who gets thrust into an extraordinary circumstance and has to rise to the occasion. We can see Dan growing as a person and as a hero throughout the progression of events. Dan is a prediction scientist. Because of his own childhood tragedy, he desires to predict and prevent black swan events before they happen. I think he begins to realize that you can’t reliably predict the future. It’s what you do when faced with the unimaginable, that defines one’s character and heroism. What was the hardest scene to write in The Seventh Sun? The romantic scenes for sure! I tell people that my romantic scenes improved immensely when I shortened them to one paragraph or less. J Actually they’re a bit longer than that, but romantic scenes are just as awkward to write as they are to experience in real life. Love scenes make geeks of us all. But as the reader will discover, there’s a huge secret in Rachel Sullivan’s life that makes the romance between Dan and Rachel poignant and gut-wrenching. Having a background in biology and oceanography, did the science in The Seventh Sun come naturally to you? That was probably the easiest part for me. I love to increase my knowledge of how the world really works, and there’s a lot of profound stuff that is revealed in this story about the nature of life, something I hope readers will enjoy. What can readers expect when they pick up The Seventh Sun? They should expect a rip-roaring adventure with a lot of technology, action, scuba diving, ocean life, conspiracies, biology, cool technology, and some compelling romance. It’s a good “beach read.” But if readers stop there, they’ll miss most of the hidden messages lurking under the surface like an iceberg. I love stories that surprise and enlighten, as well as entertain. For the diligent reader there is a lot of hidden information, and I’m proud of the ending especially, because it catches the reader off guard, just like any good black swan should. What do you hope readers take away from The Seventh Sun? That the “truth” of life is fascinating, surprising, and takes mental insight to understand. We have to exercise our minds and hearts if we really want to decipher how the universe really works. If you could describe The Seventh Sun in one word, what would it be? 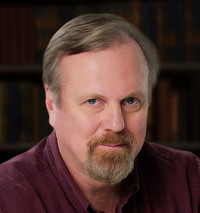 Author of the upcoming thriller, The Seventh Sun, to be published by Macmillan-Forge on April 18, 2017. Current non-fiction author of The Complete Guide to Contracting Your Home, 5th edition, with over 350,000 copies in print.